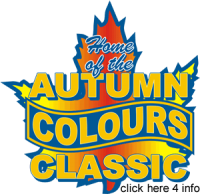 By Greg Calnan / OntarioOval.com – (Sunday, October 9th, 2011) Peterborough, ON – The 19th Annual Autumn Colours Classic will be remembered as a weekend of great weather, full pit stalls and an abundance of fans. 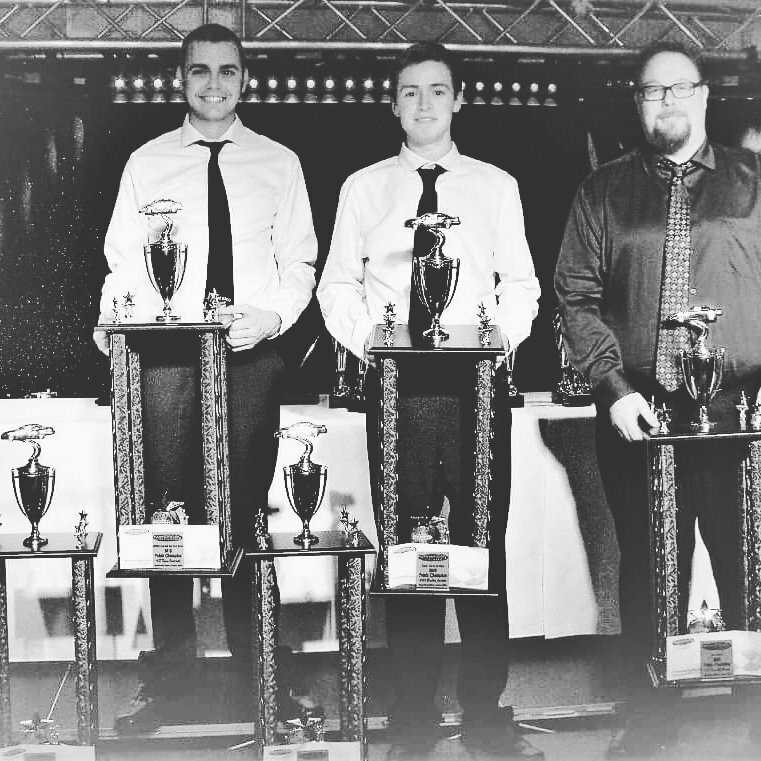 Seven features were on the schedule for ‘Super Sunday’ at Peterborough Speedway with six months of bragging rights on the line for the winners. The Four Fun class started the day off with the first feature. The race was 40 laps and was slowed by just one caution for a spin. In the end #09 Nick Lees was standing in victory lane. Kevin Strutt finished in second while Mike Gilbert rounded out the top three. The second feature of the day was the 75 lap Limited Late Model feature. Tim Fernandez and Tommy Robb led the field to the green flag. The first caution flew on lap 8 as Mike Bentley and Brian Sudsbury made contact and rode up unto the backstretch wall. After another brief caution on lap 9 the race went green for a long stretch. Jason Parker led the way until lap 31 when Rick Walt got by while racing through lapped traffic. A couple of laps later Andy Kamrath took the top spot and led until a caution on lap 40 for Tony Tiemersma. On the restart Kamrath and Chris Mitchell would pull away from the field. By lap 59 Mitchell worked by for the lead. A yellow flag with just 7 laps remaining set up a shootout for the win. Mitchell was able to pull away and claim the biggest win of his career. Kamrath broke on the final lap and was unable to finish. Todd Delisle finished second while Al Inglis, Rick Walt and Tony Tiemersma rounded out the top five. The Thunder Car 50 lap feature was next on the docket. Dan Archibald and Dave Doucette started on the front row however Rick Walt would quickly grab ahold of the lead. A pair of lap 9 cautions and another on lap 16 slowed the race. Walt would pace the field with Matt Mulholland in tow for the next 17 laps. A major pileup involving Herb Walters, Willie Reyns and others put the field back under caution just past halfway. The race went green again for another 8 laps until the red flag was displayed for a medical emergency in the grandstands. With 16 laps remaining the field got back going. Walt and Mulholland drove wheel to wheel in a close battle for the lead until Walt again began to stretch his advantage and eventually take the race win. Mulholland finished second while Randy Rusnell was third. 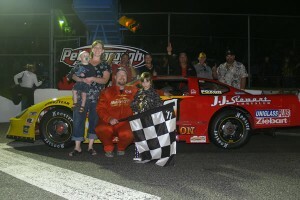 The OSCAAR Super Late Model feature was next and would be their final race of the 2011 season. Glenn Watson and Lloyd Ritchie made up the front row for the 50 lap event with Watson jumping out to the early lead. A pair of early cautions slowed the pace before a lap 11 crash saw the #34 of Al Thomson leave the track and end up behind the corner one wall. Al was alert and was transported to the local hospital for further observations. After the lengthy delay Glenn Watson brought the field back to green flag racing. 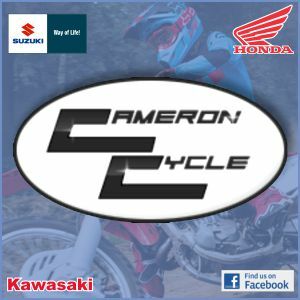 A hand full of cautions would bunch the field back up however the four-time champ proved to be too strong for the competition as Watson claimed the win. Jeff Dunford, Dwayne Baker, Dave Taylor and John Owen unofficially rounded out the top five. The 50 lap Modified feature was the fifth feature of the day. Two early cautions for two fires on the Burrows Brothers #65 slowed the opening laps, however once things were settled down it was the Tyler Hendricks show as the driver out of Pain Court, Ontario quickly made his way to the front. Once took the lead he cruised to his first Autumn Colours win over Aaron McLean and Dean Scott. 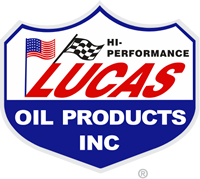 The main event on Sunday was the 111 lap Pro Late Model feature. Gord Shepherd and Dan McHattie sat on the front row and led the field to the green flag. Things got wild on the initial start as a major pileup took place on the frontstretch. Steven Matthews, JR Fitzpatrick, Vic Parsons, Mat Box and Dwayne Baker were all involved with Fitzpatrick taking the worst of it. It took just one more lap before the sheet metal was being bent again. Steven Matthews was involved and had both front and rear damage. A myriad of other cautions plagued the early laps with Dan McHattie leading the way. On lap 24 the red flag flew for a corner four pileup left heavy damage to three cars. Cale Bailey suffered the worst with Steven Matthews and Vic Parsons also involved. Things finally settled down allowing leader McHattie and second place Bryan Mercer to pull away from the field. The competition caution flew at halfway where teams were able to make adjustments. McHattie led over Mercer, Mark Watson, Mike Wallace and Brad Corcoran heading into the break. The second half of the race started much like the first half with some early cautions. Once the drivers got back into a rythm the race progressed and McHattie stretched his advantage. Top five runner Andrew Gresel was involved in an accident on lap 89 ruining what was a solid run. With 16 laps to go the race restarted with the top two again breaking away, however a blown motor by Kent Nuhn caused the #09 to spin and hit the wall hard. The race leader McHattie spun in the oil but retained the top spot. On the final restart with 6 laps to go Mark Watson made a charge at the leader and loosened him up coming to the white flag. It wasn’t enough though as McHattie held on for the win. Watson was second while Jesse Kennedy, Gord Shepherd and Mark Jacobs completed the top five. The Mini Stock feature was the final race on the card and was a 50 lap affair. Dave Bailey and Chris MacDonald led the race to the green with MacDonald jumping out to the early lead. On lap 13 the leaders entered heavy traffic and got bottled up. MacDonald was shuffled back in a turn four skirmish and gave up the lead to defending race winner Tyler Junkin.